Autodesk Fabrication ESTmep software helps mechanical, electrical, and plumbing (MEP) contractors win more work by creating more accurate, competitive bids, enabling a better understanding of the project costs for MEP building services systems throughout the detailing, fabrication, and installation workflow. Use real-world, manufacturer-specific content and associated costs (such as equipment, material, wastage, labor, fabrication, installation, overheads, mark-ups) to more accurately understand bid breakdown. 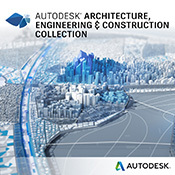 Help streamline the creation of more accurate, competitive bids by extending design-intent models (created using Autodesk Revit software, Autodesk Revit MEP software, or Autodesk AutoCAD MEP software) into Autodesk Fabrication ESTmep software. Use design-intent underlays (DWG, DWF, PDF, etc.) with design line drawing technology to more quickly takeoff competitive bids. Base estimates and cost analysis on specific business needs with fully customizable databases and variables. Gain greater insight into estimated costs by integrating more seamlessly with Autodesk Fabrication CADmep software and Autodesk Fabrication CAMduct software. Document cost changes and monitor project iterations using variation tracking tools, improving traceability and accountability of project estimate increases or decreases. Perform value engineering tasks more efficiently, providing multiple cost estimates to clients based on a variety of needs and scenarios. Take advantage of the integrated databases and libraries of Autodesk Fabrication CADmep software and Autodesk Fabrication CAMduct software to help improve workflows and efficiencies between project stakeholders.